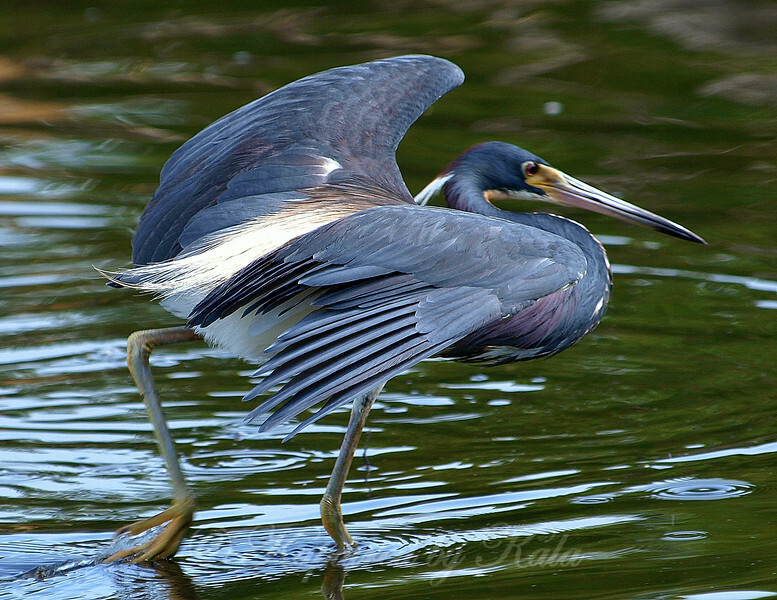 I researched and learned that on sunny days a tri-colored heron will spread it's wings as it walks thru the water hunting prey. This serves two purposes, it blocks the suns glare and the heron can see any fish below the surface of the water, and, it creates shade which attracts the fish to the heron. I capured this behavior from 3 different perspectives.